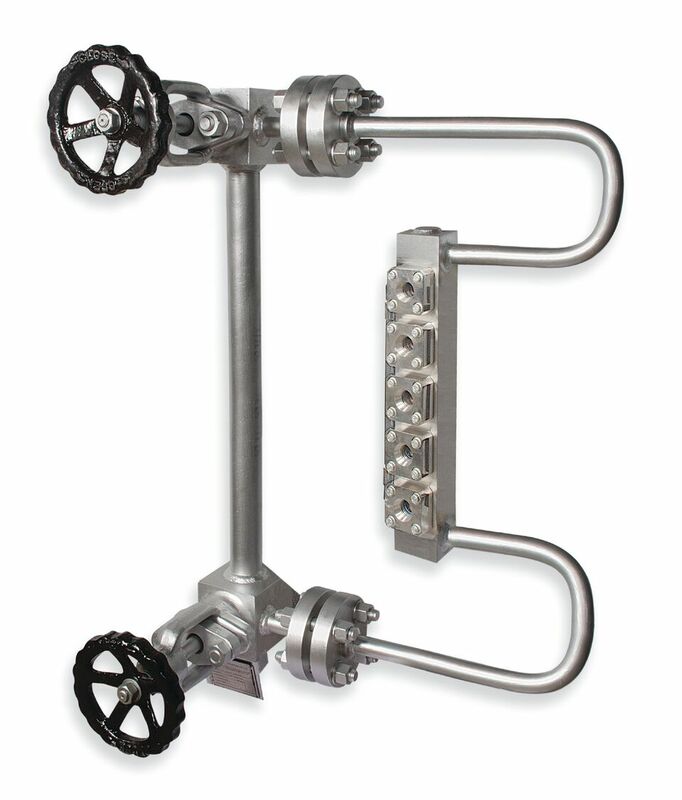 Levelstate Colour Port Type Water Level Gauges(DWLG) provide a direct reading of the water level and are suitable for steam/water applications. Levelstate Gauges are reliance and maintenance free thereby minimising operating costs for the user.Levelstate DWLG is available in various pressure ratings, which used along with the high intensity illuminating device and accessories makes it one of the most reliable and user friendly systems available. Gauge Type 300 is available for pressure rating upto 207 bar @ 370°C.